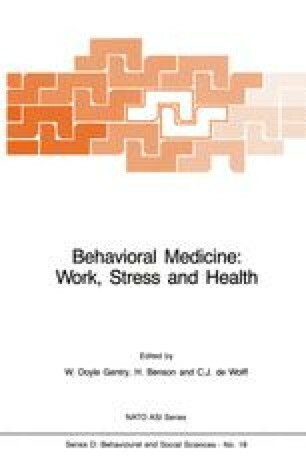 This paper discusses the relationship between stressors and strains in the work setting. Common wisdom has it that work makes people sick. Workers themselves may attest to same. But, until recently, in the social sciences, a precise understanding of such relationships has be non-existent. Industrial and organizational psychologists have concentrated on non-illness dependent variables, e.g., performance, satisfaction and motivation. Health and illness are lesser known concepts. For example, the handbook of Dunnette (1), widely seen as a milestone in the field, does not even mention these terms in its subject index.